Fairfax County police officers made the day of a seven-year-old aspiring officer and her twin brother this week. 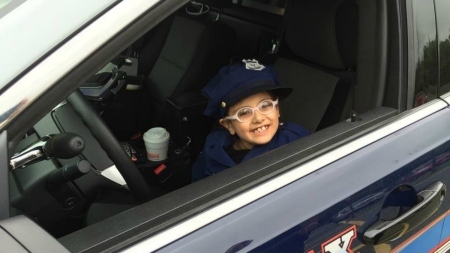 After her daughter, Eva, expressed interest in being a police officer, Tracey Edman bought Eva a child-sized uniform. On Tuesday, Edman took her children to visit the Fairfax County Police Department -- but they weren't expecting any special attention. "We just came to take pictures," Edman said. "We weren't expecting to meet anyone." But little Eva, clad in her own pint-sized uniform, was met with joy from the officers. 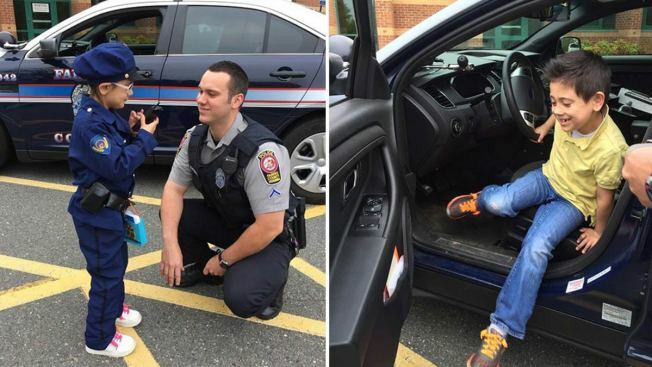 Private First Class Jacob Luttrell showed the two children his police cruiser -- letting each child sit in the drivers' seat -- and all of his equipment. The children were thrilled and their mother was thankful. Edman said both of her children have special needs; her son has autism and her daughter has cerebral palsy, she said. "I'm extremely grateful for this spontaneous kindness," Edman said.